A hail of gunfire on a downtown Oakland street brought a sudden, sad end Thursday morning to a journalism career that had spanned the better part of four decades and the entire world. Despite that length and breadth, Chauncey Bailey’s loss is perhaps most keenly felt right here in Oakland, where he’d been a noted, constant presence in print, radio and television for the past 15 years. “Chauncey did not portray a persona or live a lifestyle that would suggest this as an ending to his life,” Peralta Community College District Chancellor Elihu Harris — who knew Bailey both as an employee at KDIA radio, which Harris co-owned, and as an indefatigable journalist while Harris was Oakland’s mayor from 1991 to 1999. 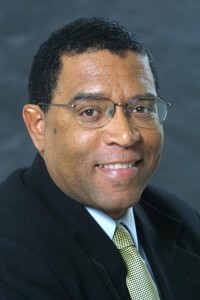 Bailey — who grew up in Oakland — earned a degree from Merritt College in 1968 and a bachelor’s degree in journalism from San Jose State University in 1972; he also attended a Columbia University summer program for minority journalists in 1974.He simultaneously wrote for the Oakland Post and was an on-air reporter for San Jose- based KNTV television in 1970 and 1971 before working for three years at the Sun Reporter newspaper in San Francisco. From there, he went to a three-year stint at the Hartford (Conn.) Courant and then one year on the rewrite desk at United Press International in Chicago. He wrote news and features for the Oakland-based California Voice from late 1978 to late 1980 before returning to Chicago as a publicist for Comprand Inc. — a nonprofit research and advocacy group focused upon education and health care for urban residents — and then heading to Washington, D.C., for a year as press secretary to Rep. Gus Savage, D-Ill.
Then he began his decade-long stint as a reporter and columnist for the Detroit News, covering city government, special projects and features. James Vesely, now the Seattle Times’ editorial page editor, was among those who hired Bailey in Detroit. Vesely said Bailey impressed him as a young journalist at the vanguard of a generation of black men who remembered both Jim Crow and the civil rights movement, “part of a pioneer corps of reporters” asserting an African American presence at major metropolitan daily newspapers. “He fit that to a ‘T’ — he was someone who immediately knew the community, knew the town. Bailey returned to Oakland in 1992 as public affairs director and newscaster at KDIA radio, co-owned at the time by Harris and then-Assembly Speaker Willie Brown, D-San Francisco. A year later, he began his 12- year run covering East Oakland and African American community affairs for the Oakland Tribune. “In his whole time at the Tribune, he had a voice and a perspective on the black community in Oakland that we really have not replaced since he left,” said Tribune Managing Editor Martin Reynolds, who started at the paper as an intern during Bailey’s tenure. One of those he wrote about was Chakay McDonald, whom he encountered shortly before she opened her restaurant, Lousiana Fried Chicken, in downtown Oakland. She said Bailey’s ensuing articles played a “major part” in her restaurant’s successful launch. It has since expanded to El Cerrito. Reynolds said he once had asked Bailey why he tended to wear suits to the newsroom, which generally has a more casual dress code; Bailey replied he believed it was important to carry himself appropriately and “be a good example for his community.” Reynolds said he also was struck by Bailey’s strong, loving bond with his son, which reflected well upon him as a human being. Proud father Chauncey Bailey holds his son. While at the Tribune, Bailey also worked as news director at the East Bay’s black-oriented KSBT Soul Beat Television, earning a reputation as an irascible commentator and interviewer. Former Oakland actress Luenell worked with him at Soul Beat in the 1990s before going on to wider fame, most recently as a costar in “Borat: Cultural Leanings of America for Make Benefit Glorious Nation of Kazahkstan.” She heard about Bailey’s death while in Los Angeles preparing for a wardrobe check for an upcoming movie; Bailey, she said, brought integrity to Soul Beat. He was also the only West Coast journalist to visit and write about fledgling regional jazz festival on the Caribbean island nation of Saint Kitts and Nevis, said Robert Kelly, the nation’s United States’ tourism director. That was 1996. Today the St. Kitts Music Festival is an international affair drawing a broad range of musicians and fans from Europe and the United States. Kelly credits Chauncey and the late Chuck Johnson, Soul Beat’s founder and then-owner, as visionaries whose reports helped spur the festival’s growth. Bailey had hoped to buy Soul Beat in 2003 but couldn’t find investors willing to meet Johnson’s $2.5 million asking price. Bailey then quit Soul Beat; Com-cast pulled the plug on it later that year, and Johnson died in 2004. Bailey in late 2004 cofounded OUR-TV — Opportunities in Urban Renaissance Television — on Comcast Channel 78, serving as its executive adviser with Leonard Stephens as president and CEO. Stephens couldn’t be reached for comment Thursday. Bailey was released by the Tribune in June 2005 due to conflict-of-interest issues and was named editor of the Oakland Post this summer after writing freelance travel stories for that African American weekly for about two years. “The Post is going to have to start all over again, and I don’t know if we’ll ever be the same,” said Oakland Post publisher, Paul Cobb. “Becoming the editor-in-chief had really been a life-long goal for Chauncey. He was constantly moving, working on a documentary on the side, and being on TV and so many projects. He had a bulldog tenacity and great speed at which he worked. He loved newspapers. And Bailey’s passion for journalism didn’t end at the office door. He worked with OCCUR — Oakland Citizens Committee for Urban Renewal — mentoring young people who aspired to journalism careers, and also had created a Black Press Weekly, a compilation of significant articles from black newspapers around the country, said OCCUR Executive Director David Glover, whose friendship with Bailey spanned at least two decades. KCBS radio reporter Bob Butler, president of the Bay Area Black Journalists Association, said his and Bailey’s “paths crossed many times, sometimes sitting on workshop panels together at conferences;” he last saw Bailey on July 11, as both of them were honored as “101 African American Men Making A Difference” in Oakland. Oakland Tribune staff writer Angela Hill contributed to this report.